The University of Houston Women's Golf program will continue its spring season by competing in the Clover Cup at Longbow Golf Club. The Cougars will compete against Notre Dame, Cincinnati, FIU, IUPUI, Kansas State, Kentucky, Mercer, Mississippi State, Nebraska, Oklahoma, UNCG, USC, Western Carolina and Wisconsin. Maria Jose Martinez had a good round. She’s a freshman roster player from Mexico. Several weeks ago, I met Maria Jose Martinez and Dana Puyol (Spain) at Memorial Park. Their names were emblazoned on their UH golf bags. I recognized the name of Maria Martinez, so I introduced myself. They were flattered that I recognized them and were very polite, humble and excited to be playing in Houston. The lady Coogs are much improved with Harm and Screen on the team. 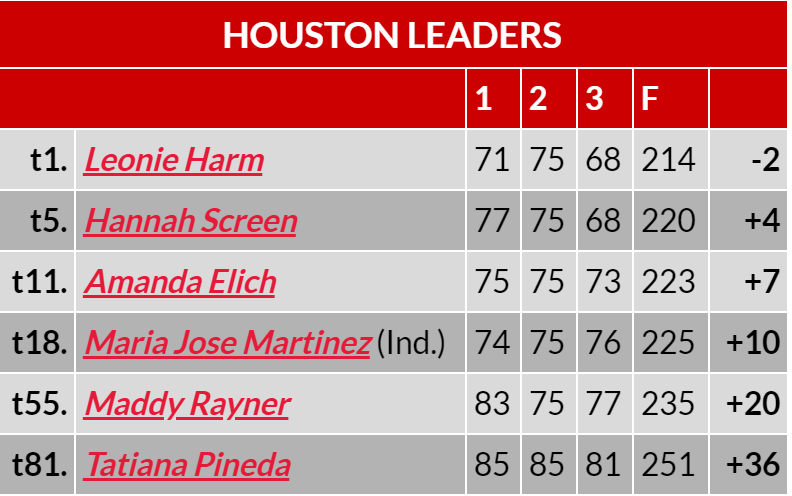 Hannah Screen, a freshman from the UK, was a big-time UH recruit. It was good to see Maria among the team leaders because they are going to need her play well if the lady Coogs are going to compete nationally. IMO, we have the best women’s golf team in the AAC. So far this season, the women’s team has proven to be a better team on a mediocre day then the mens team is on a good day. 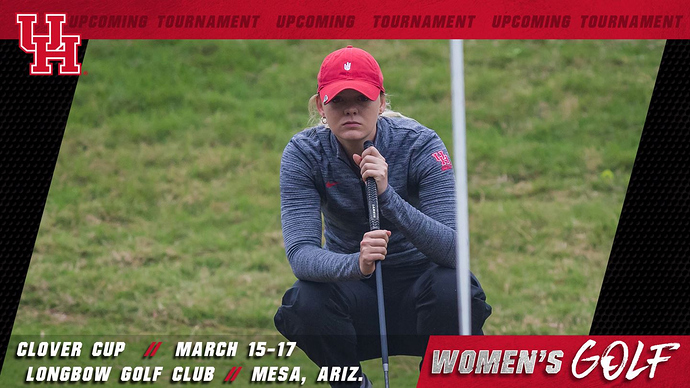 The Cougars will compete in groups with student-athletes from Mercer and Wisconsin, beginning at 10 a.m. (CDT), Saturday. Pineda will start the day for the Cougars off No. 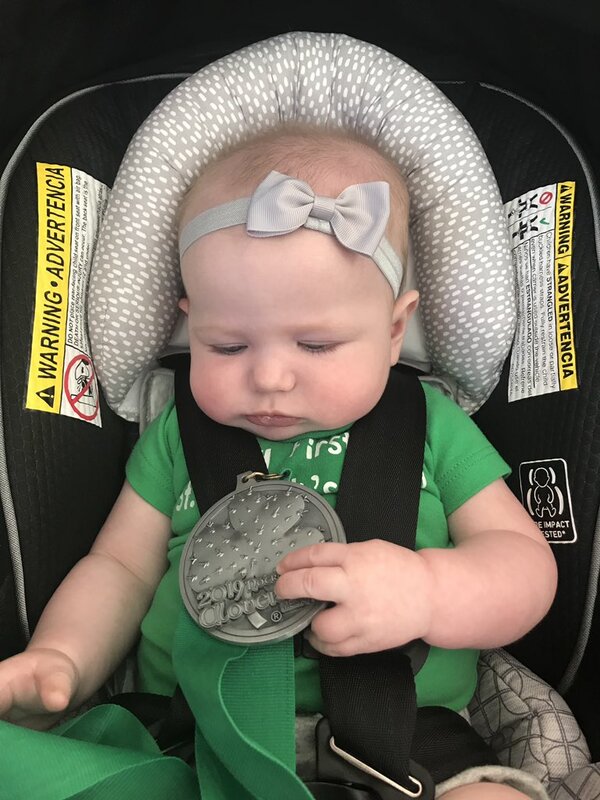 1 at 10 a.m. (CDT) with Rayner (10:10 a.m. CDT), Screen (10:20 a.m. CDT), Elich (10:30 a.m. CDT0 and Harm (10:40 a.m. CDT) following. 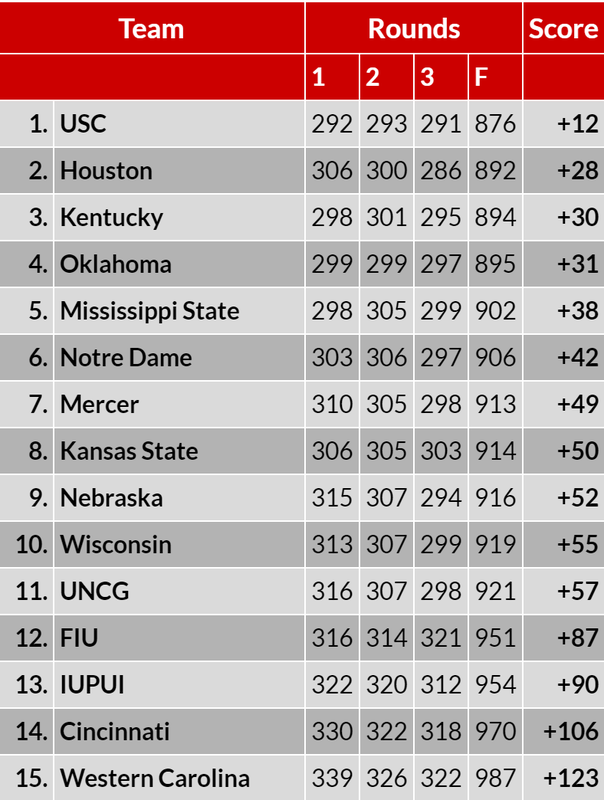 Looking up the rankings, USC is the #1 team in the nation. Oklahoma is #24. 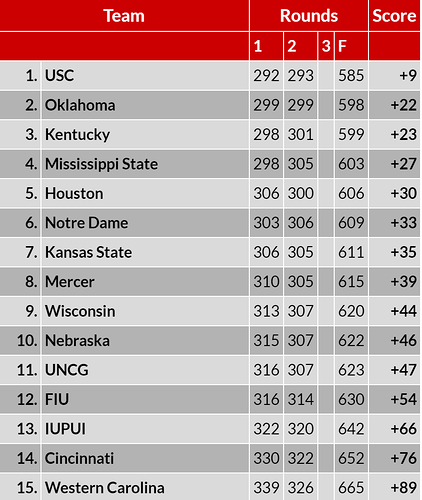 Coogs are 3rd highest ranked in this tourney at 31.
coogs making a move early. 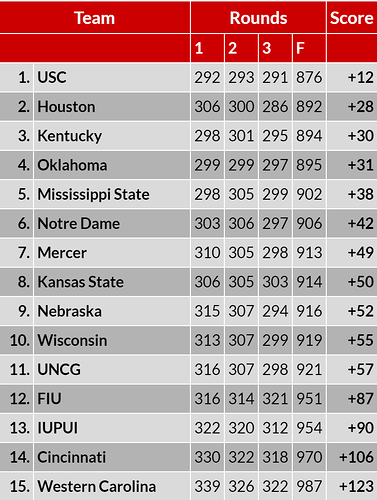 In 4th, only 2 back of 2nd place Mississippi State. 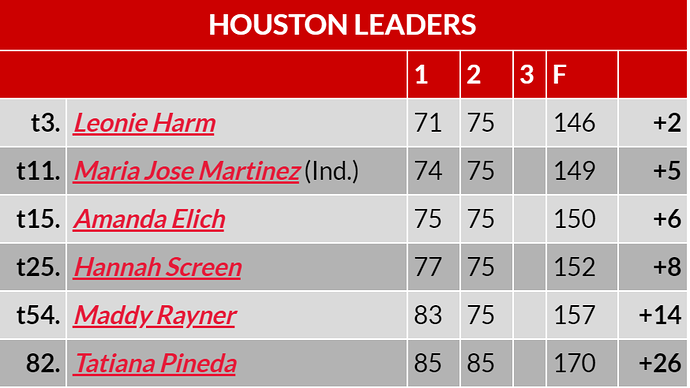 Harm eagled the 9th hole and is in 4th by herself, 3 off the lead. 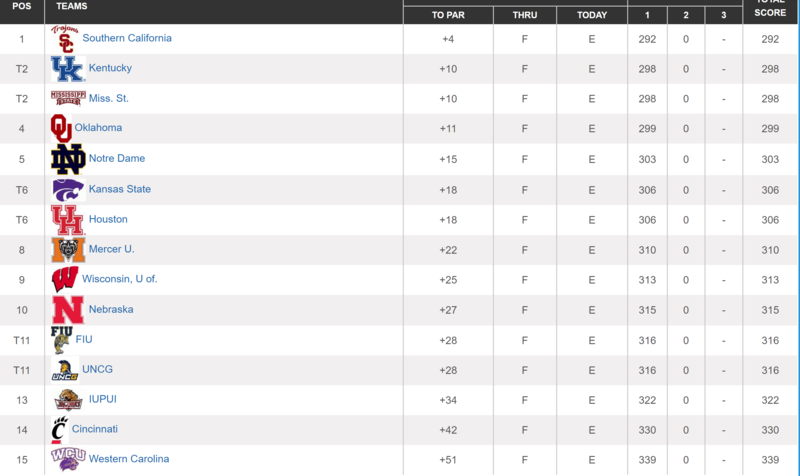 Now In 2nd…even par for the day. Impressive showing. 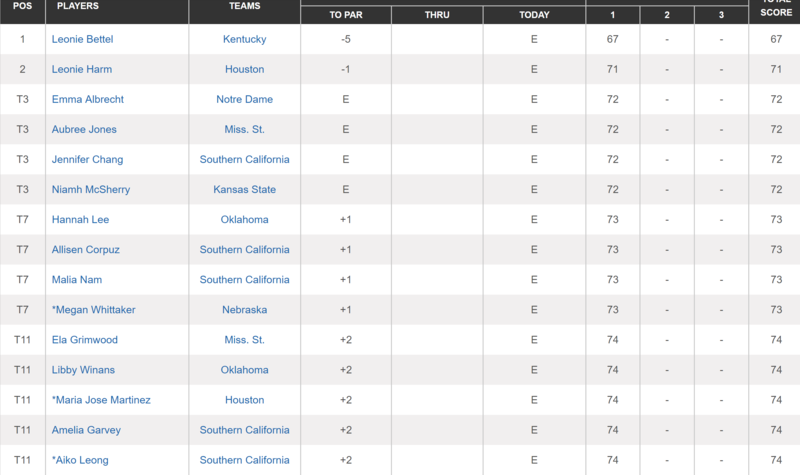 Coogs back in 2nd after Harm birdies a couple. She’s now in a 3 way tie for 2nd, one stroke off the lead. 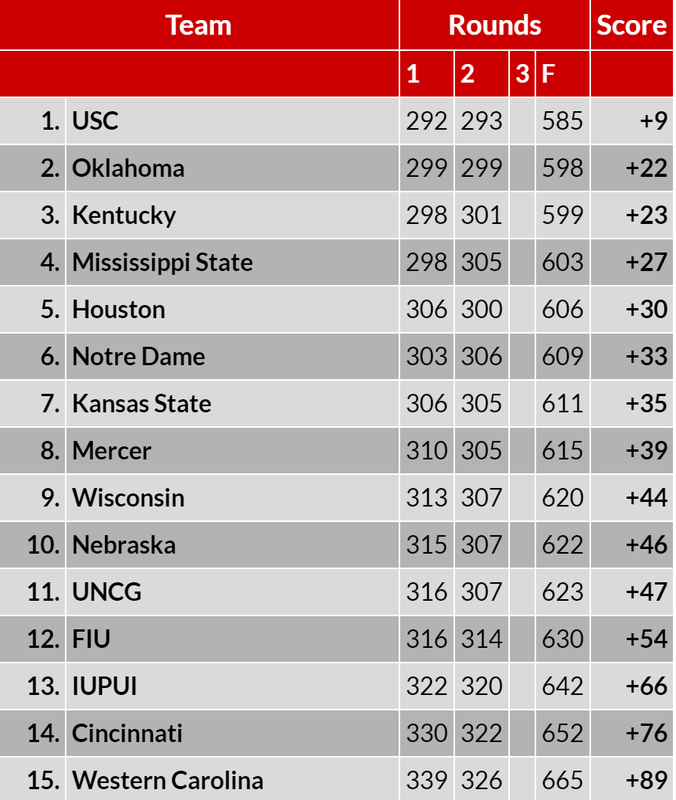 Coogs clinch 2nd, Harm in a 4 way tie for the lead. Hannah Screen and Harm both -4 for the day. 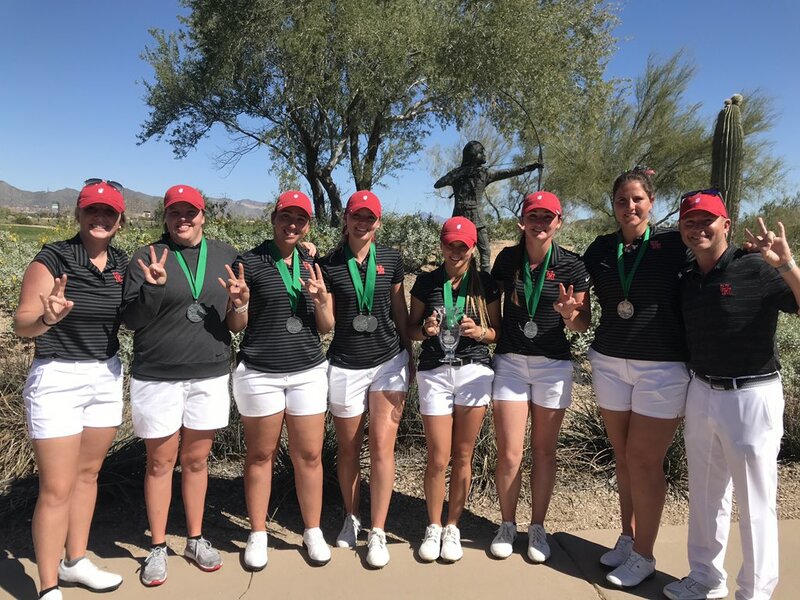 Coogs best of the field today 5 better than the next team score. Great tournament after somewhat of a slow start. 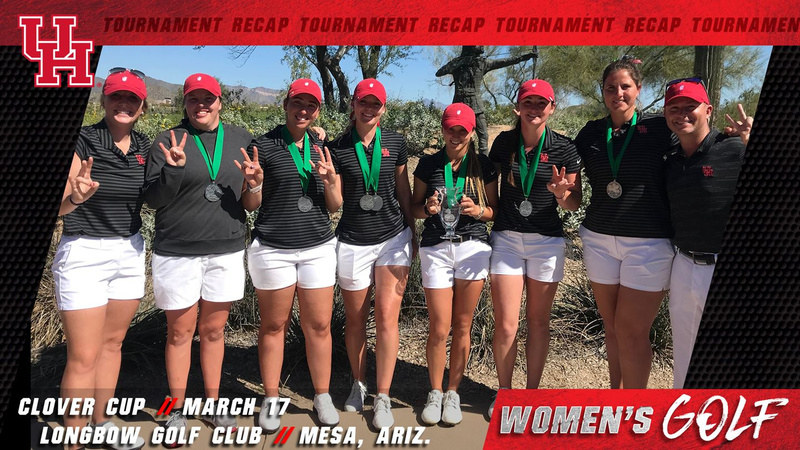 Amazing comeback by the UH women’s golf team. On the last day, they moved from 5th place to 2nd place against a good field. I hope the men are taking notice. I hope Pez is taking notice. 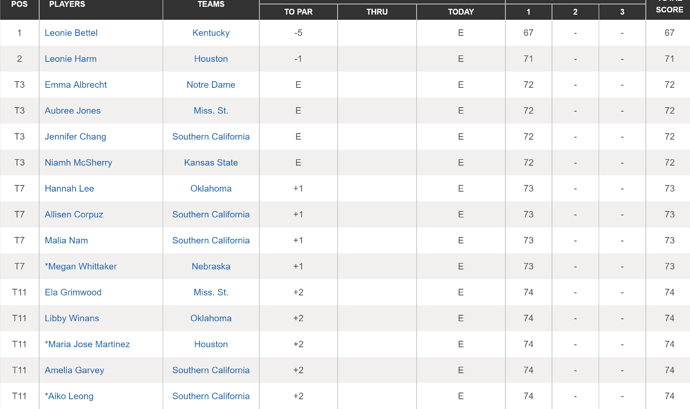 I think the Coogs can make the finals as a team and I think Leonie is in the mix to win the individual title. Amazing ceiling for a program that is so young.